When the Singapore Mission opened in 1974, with Malaysia a part of the mission, missionaries were rotated in and out of the country on 30-day tourist visas to comply with the law of the land. After the government granted the Church recognition status in 1977, Elder and Sister Werner Kiepe were sent to Malaysia. They helped acquire the first property owned by the Church in Malaysia in the suburb of Kuala Lumpur, the capital of Malaysia. Church membership was small with many members being American and Australian, temporarily working in the country, as well as some Chinese members living in the country. A milestone was reached when two native Malaysian elders were called in 1981 to serve as missionaries in the Singapore Mission. In the same year, a district was organized. In 1986, the seminary and institute program was established. In 1990, King Syed Putra Jamallai, the Rajah of Perlis State in Malaysia, was honored during a visit at the Polynesian Cultural Center in Laie, Hawaii. 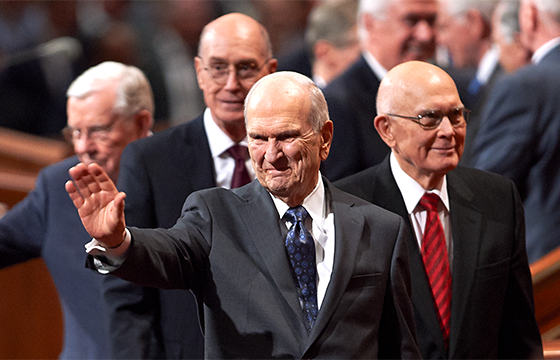 In 1995 Elder Joseph B. Wirthlin of the Quorum of the Twelve Apostles visited Malaysia and dedicated the country for preaching the gospel. Convert baptisms have doubled in 1998 over those in 1997. Ground was broken for the first meetinghouse in East Malaysia at Kota Kinabalu on 16 April 2003.